The State of Maine has passed legislation for both medical marijuana and recreational marijuana. A multitude of rules and regulations such as licensing of retail shops, cultivation, manufacturing, processing and warehousing have been passed. Although medical marijuana is fairly well-established, the implementation of recreational “adult-use” in Maine has taken a very long time to come to fruition. There are many business owners, real estate investors and individuals on the sidelines still waiting for adult-use legislation to actually kick-in. In addition to Maine state laws, many local towns have adopted or are in the process of adopting guidelines on where these facilities can be located. Many towns like Windham, have engaged a board of volunteers to look at zoning and regulations to help develop ordinances for the community. Maine towns have an opportunity to review and consider “opting-in” to capture the economic development force this industry has to offer such as: good paying jobs with benefits, commercial real estate tax base, business equipment tax base and some potential tax on the sale of the end product. At the federal level, marijuana remains a Schedule I controlled substance so transactions involving marijuana activities could violate federal anti-money laundering statues. Nonetheless, the marijuana industry is growing exponentially, and people are lining up to get into the business and/or invest in it. How does the marijuana industry affect commercial real estate? The marijuana industry needs commercial real estate to grow, cultivate, warehouse, manufacture, process, extract and sell a variety of products. Many of these commercial building occupancies are, in essence, indoor marijuana farms. So, the “pot guys” are actually farmers in addition to being entrepreneurs. In states, cities and towns where cultivation and the manufacturing and processing of cannabis is legal, the marijuana industry has caused a spike in commercial real estate leasing activity, leasing rates and also commercial property values. 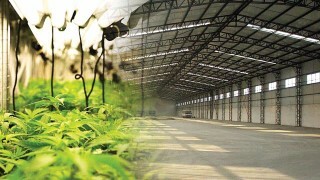 Many retail spaces have already been converted to medical cannabis stores and warehouses and industrial properties are being repurposed for cannabis cultivation. Now, since marijuana can’t be transported across state lines due to federal law, it must be sold and consumed in the state that it was cultivated. Just as specialty beer breweries have helped revitalize some of the older commercial and industrial districts, so has the marijuana industry. Unfortunately, Maine has lost a substantial amount of manufacturing jobs of the past several decades. The traditional manufacturing jobs are now being replaced with jobs like marijuana retail, cultivation and manufacturing jobs. It appears that some of those jobs are very good paying jobs and, in many cases, with health and dental plans. In many states like Maine, property owners who are considering transacting business with the marijuana industry need to plan for the conflict between state and federal laws. Banks with federal charters and that are also regulated and insured by federal agencies, can’t do business with marijuana business owners. However, more and more state-chartered banks in states that have legalized marijuana for medical or recreational use, are willing to work with the marijuana industry and its commercial landlords. And, there are also credit unions that offer deposit relationships. Where banks are unwilling to lend money to cannabis industry operators, owner financing and other private lenders are a source of loans for commercial real estate transactions. Landlords that are fortunate enough to own their properties outright can lease space to marijuana businesses without the risk of having a commercial lender call their loan due to federal banking laws that may apply. Commercial warehouse and industrial leasing rates that were traditionally $5 to $6 per square foot for many years in the Greater Portland market have approached $10 per square foot. In some cases, a turn-key facility may fetch up to twice this amount as it saves time and money for those looking to set up an operation for cultivation and they do not have to make an expensive fit-up and/or make leasehold improvements out-of-pocket. Just like when you engage a commercial real estate professional to locate commercial space for lease or a commercial property to invest in, you should also engage your accountant, real estate attorney and banker to seek advice and guidance on making a decision to participate in this fast-evolving industry. Larry Eliason is a Commercial Broker® with Butts Commercial Brokers® in Raymond, Maine and serves the Greater Sebago Lakes Region. 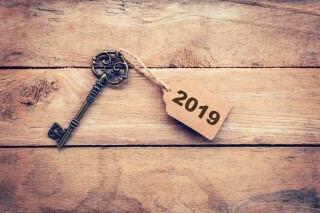 Buying a home is a little different every year and the following tips can help you buy smart and navigate as we head into the big purchasing and selling season in 2019. If you’re revving up to buy a house in the next six months—or trying to decide if it’s the right time for you—a little inside information will help you make your best moves. The housing market made some big changes in 2018 as the rise in housing prices (finally) started slowing, and the 2019 market will have its own quirk. Here’s what home buyers and home-dreamers need to know compiled from the last year of Trulia research and analysis. Inventory’s still tight – but great houses are out there. *Consider a fixer-upper. Instead of looking at houses above your budget, look at fixer-uppers priced below your budget and invest the rest upgrading it. You’ll end up with a home full of your own design choices, and just think of the eventual return on investment. Just be sure to buy smart: avoid fixer-uppers with red-flag issues like a crumbling foundation. *Look at old listings. Old doesn’t always mean a listing has issues—it can also mean the house was priced too high from the start. Some sellers drag their feet before lowering the price, and the house just hangs out on the market. When buyers search only for new listings, they can miss great properties with price adjustments. *Get a sneak peek. 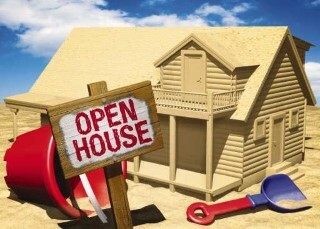 Ask your agent about “pocket listings” homes that are waiting to hit the market. Often, real estate agents have the inside scoop on homes weeks or even months before they’re listed. Homes are expensive, but your down payment doesn’t have to be. Home prices have largely outpaced income growth, making it increasingly hard for would-be homebuyers to purchase a home. And in 2019, limited supply will only keep pushing prices up. For 53 percent of renters who want to buy, the biggest challenge is the down payment. But here’s something that might surprise them: the 20 percent down payment everyone talks about is way more than what most people pay. Most buyers pay 5-10 percent down, and some even pay zero (yep, zero). Talk with your real estate agent and lender and research loan alternatives with traditionally low-down payments like FHA and VA.
Interest rates will continue to rise, but not enough to be a deal-breaker. In 2019, mortgage rates will reach a 10-year high, making an already tight, expensive market feel even costlier to enter. But—deep breath—it’s important to put the interest rates into perspective. 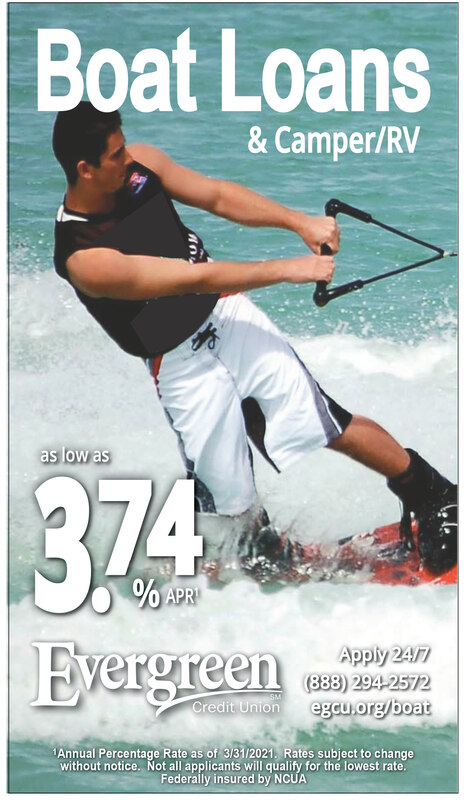 Interest rates are still at a historic low at just above five percent. Look back 30 years to 1988. Home loans were at 10.34 percent in interest. 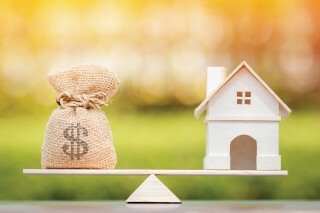 The rise in interest rates can easily be offset by other home buying decisions you make, including location, loan structure, price, and whether the home is a good fit for you. You can’t change interest rates, but you can change your list of wants and needs to make home ownership fit your budget. Be prepared to negotiate—but not about price. Despite increases in inventory, prices have remained the same. While some sellers might not be amenable to price changes, the shift to a buyer’s market can give you an upper hand for other asks. You could negotiate for the sellers to make repairs or improvements to the property, for example. It may not change the sticker price, but it’ll still be money in your pocket when you don’t have to pay for them yourself. Should I wait to find a home before I list? The real estate market has been strong the last few years and it has been a whirlwind in selling, but there are a few things to consider when selling. There are many things that are not absolute that you should take into consideration and one is if you should list your home prior to buying another home. Should you find the right house to buy now and then list my home? That can bring risks. You love this house you or your agent has found and want to buy it now, but you must sell your home first in order to buy. You can always list your home and have your agent write a contingency offer and pray it all works out in your favor. But realistically, with todays’ market, there are many buyers out there that are also are looking along with you. We are in a sellers’ market and with inventory so low, if a property is priced correctly, it won’t be on the market long. 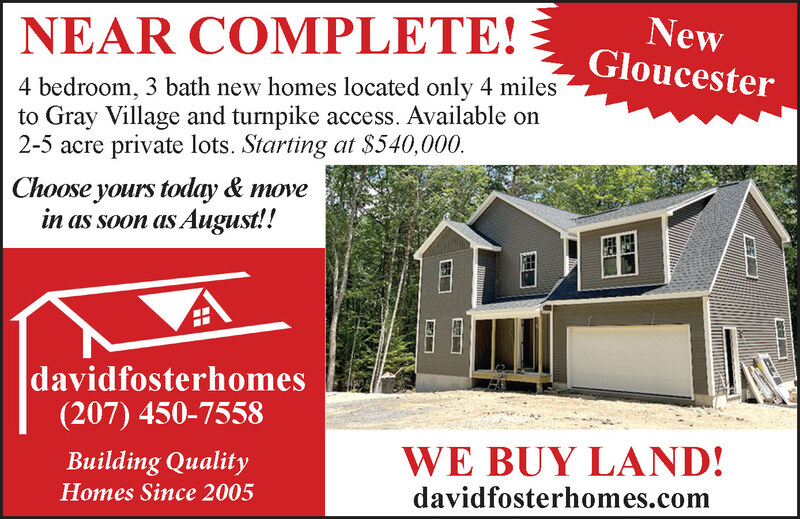 The saturation rate of homes sold in the Lakes Region is 3-4 months or even less with some neighborhood homes. For example, this past weekend I attended an open house and for a two-hour period, there were nearly 30 families that attended and at least 26 were serious buyers. The house is under contract now. There are other possibilities you can consider. You can list your home at the same time while you are looking to purchase a new home and hopefully it goes pending quickly, and you can find your next home without a contingency- that would be the best scenario. If you have savings that can be used to obtain a short-term rental or to make two mortgage payments until your home gets sold, that could work as well. You could get a HELOC (Home Equity Line of Credit) or a bridge loan until closing, but that is not the ideal situation. If you sell your home first, that’s great news. Of course, that is the ideal situation, but what happens if you can’t find your dream home? You could do a rent back if the buyer didn’t plan to move in immediately, or you can rent for a short time till you find the right one. It can be a frustration for sure, but this is where your agent should step up to the plate and do his/ her due diligence and find your dream home. If you sell your home, you’ll have the cash to buy a new home, and won’t feel rushed. But, every option has an upside and a downside; talk to an agent to figure out what’s best for your situation. He/she is your best resource for this and will help guide you through these tough situations. Richie Vraux is a Broker/ Realtor with Better Homes and Gardens-The Masiello Group both Windham and Gorham office and also in partnership with Maine’s Premier Team. Contact Richie for your Real Estate advice at 207-317-1297. FSBO - Good idea or bad? What is a FSBO? No, it is not a strain of the flu or an invasive plant growing in our lakes. FSBO stands for For Sale By Owner. A seller has decided to market and sell their own property without the assistance of a local Realtor®. The most common reason for selling your own property is the desire to not pay a realtor's® commission and saving thousands of dollars in commissions is very attractive. However, many FSBOs also suggest their desire for greater control of scheduled buyer showings and open houses, listing activity, price negotiations, security and closing activities. Are you considering going FSBO? With so much information online, how easy could it be to snap some pictures, write a property description and post online? The most common methods of marketing the old fashion way include yard signs, word of mouth with friends and family, open houses and advertising in local community publications. In 2017 The National Association of Realtors® reported that FSBO sales accounted for only 7% of all residential sales. Why is it so low ? Experts agree, the number one reason is because the FSBO properties were priced too high for the market. By preparing a Comparative Market Analysis (CMA) with the assistance of a local Realtor®, they can help you understand the local market conditions and recommend a suggested list price. 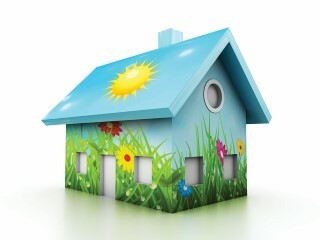 It is also reported that sellers do not have the time or the resources to market the property themselves. Incredible to believe that just under 50% of all FSBO sellers reportedly did nothing to market their property. A combination of poor listing visibility and lack of multimedia marketing resulted in low buyer traffic. In closing while FSBO does work seamlessly for some sellers, that route is not for everyone. Carefully weigh your options and consider if you have the time, resources and emotional strength to go this route alone. In the end, if you don't have the time and resources, then consider seeking a local Realtor®, who can help you with the market rate and marketing so that your property can be sold quickly and with expertise. 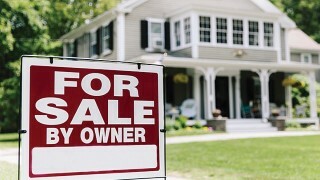 I hope this article sheds some light on the challenges you face when you follow the FSBO path. Please contact me or your local realtor if you have any questions. If you thought that the processes of being a first-time home buyer was complicated then just wait until you join the ranks of repeat buyers! The majority of people will need to sell their current home in order to qualify for financing to purchase another property. Paying two mortgages each month is not something that everyone is in the position to attempt or sustain for very long. I am often asked how this process works and I know that there are even more people who are curious but are not asking me, because the very thought is so overwhelming with helping people buying and selling at the same time. Using one Realtor® to assist you with both the sale of your current property and the purchase of your next one can help to streamline communication and expedite the overall process. Even the most experienced and top-notch agents will have only so much control over the many variables which will need to be synchronized and move in concert, but together it can be accomplished! Your Realtor® will help you to identify the range of market value for your current home, which combined with other factors will determine how much you will be able to afford. Explore what your financial position will allow you to consider doing with a trusted lender and weigh the pro’s and con’s of each option. There are inherent pressures that will inevitably come with each decision, so you will need to prepare yourself for how the byproduct of your decisions will impact your judgement, ability to negotiate and your motivation. If you are carrying two mortgages, will you feel inclined to settle for less on the sale of your current property? How will you be competitive when buying if you find something you really want? Selling your current property then moving into a temporary rental will make your offering power much stronger as a buyer, but it may not be the most cost-effective option because moving incurs expenses and you will be doing it twice. For many it is not only the expense but also impractical to store their personal property often elsewhere and provide the necessary resources for two moves. One of the instruments available to us is to make an offer which is contingent on the sale of your current property. This will allow you to look for and make offers on properties of interest while staying in your current home. Some people do not feel comfortable having their current property listed until they have found suitable housing, out of concern for being temporarily displaced and not wanting to move twice. If you have decided to wait until you find a suitable property before listing, the seller will most likely want to know the details surrounding the upcoming sale of your current property including: Where is your property located and which agency will you be listing with? What will the list price be, and do you have a clear marketing plan in place to get a quick contract? If the seller is willing to work with you during the sale of your current home then you will need to be prepared to get your home on the market typically within 5 calendar days of the agreement, so working with your Realtor® to develop a strategy in advance is essential. In some circumstances an agreement can be negotiated with the buyer of your current property to allow you to rent back or remain in the home for 60 or 90 days while you continue to search, which can help to relieve a bit of pressure. How will being under contract as a buyer impact my negotiating ability as a seller? What happens if I get a contract on my house before I find something? Will I feel rushed into purchasing a home that I otherwise would not choose? Having a very clear Plan B or worst-case scenario plan will help to give you a bit of space and relieve some of the pressures when making tough decisions. If you are purchasing a newly built home or build package you may want to have an idea of what you are going to do should inclement weather or labor shortages cause the process to fall behind resulting in being temporarily displaced. You might be able to negotiate a certain amount of time to secure suitable housing, but you are then requesting a concession so it may cost you in other areas depending on the buyers’ necessary timeframe to close and move in. Your Realtor® can help to reviews the pro’s and con’s of disclosing this strategy when listing or waiting until negotiations with buyers. If you are under contract on the purchase of your next property you will need to be prepared to price your home more aggressively. Often you will be provided 30 days to get a contract on your current property and an additional 30-45 days to close depending on the financing of all parties, but these are terms and conditions which will need to be negotiated. One of the most challenging maneuvers in this intricate dance following sucessful negotiations is to keep the timeframes moving along for both Property #1 and Property #2 concurrent and parallel on things like building inspections for both homes, negotiations for repairs and appraisal inspections for both homes. Scheduling the necessary professionals, how much they will cost you and understanding what their turnaround time for reporting will be is absolutely critical. Your Realtor® will assist with all of these details or handle them on your behalf. With grace, a certain amount of skill and an insane amount of luck; more often than not, we are able to hold back-to-back closings at the same table on the same day for both properties, but it is always a good idea to discuss what you may need to do in the event of a delay on either side. Nicole Foster became licensed in 2005 and is a Broker with Locations Real Estate Group in Falmouth and resides in beautiful Windham with her family. Call, text or email with any real estate related questions.